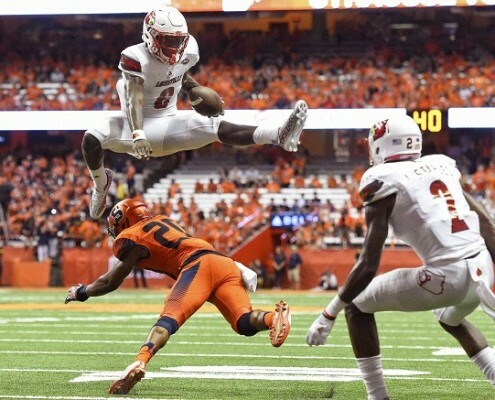 Lamar Jackson followed up on his week one heroics and accounted for an ACC-record 610 yards from scrimmage in 13th-ranked Louisville’s 62-28 victory over Syracuse. Jackson completed 20-of-39 passes for 411 yards and one touchdown, and rushed for 199 yards and four more scores as the Cardinals improved to 2-0. 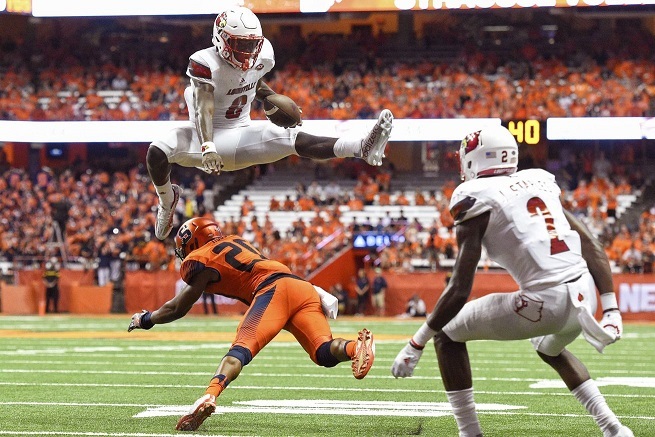 Notes: Lamar Jackson is the second player to repeat as Walter Camp National Offensive Player of the Week since the award was started in 2004. Former Michigan quarterback Denard Robinson won the award in consecutive weeks (Sept. 5 and 12, 2010). 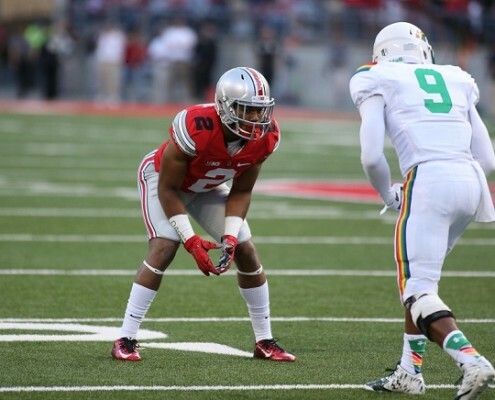 Marshon Lattimore recorded two interceptions, including one he returned 40 yards for a touchdown, as fourth-ranked Ohio State defeated Tulsa, 48-3. Lattimore added three tackles to lead a defensive unit that allowed just 188 yards of total offense in the contest. 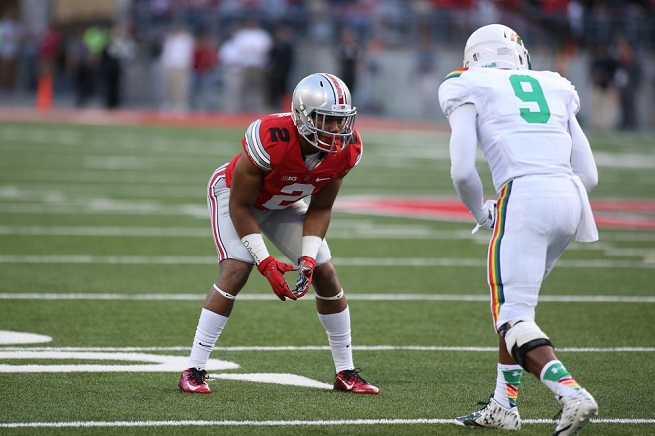 Notes: Marshon Lattimore is the 10th Ohio State player to earn Walter Camp National Player of the Week honors since 2004, and the first defensive honoree since former DB Chimdi Chekwa (Sept. 12, 2010).